what is the LT programme? how is the LT programme delivered? are peep sessions free for families? who can deliver peep programmes and training? Our Little Peeple Nursery in Littlemore, Oxford is now open! We were delighted to open our Little Peeple Nursery in October 2018, for babies and children from six months to four years. It was built in partnership with the Oxford Academy, and is in their school grounds in Littlemore, Oxford. Peep practitioners and families in Midlothian welcomed Maree Todd, the Minister for Children and Young People, and two of her colleagues to their Peep group this week. The session focus was on ‘helping children to feel good about themselves’. Parents' achievements were also celebrated - one of the parents was moving on to paid work as a Peep leader with Midlothian Council. Thanks to all the staff and families at Newtongrange Nursery who were involved, and to the visitors for taking time to come along and join in with the singing and discussions. 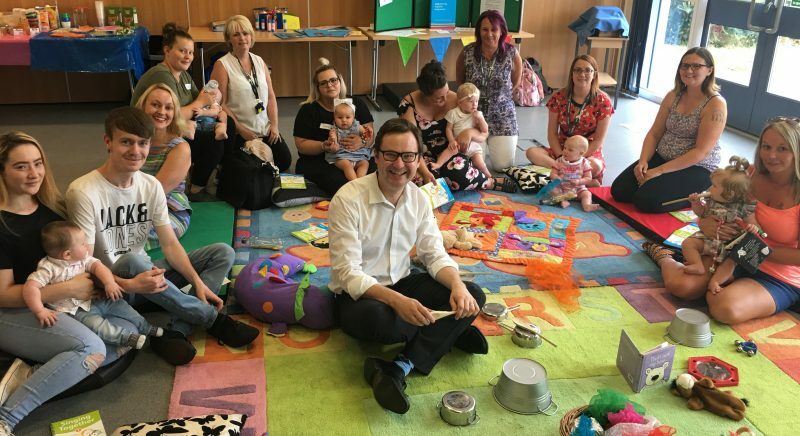 Families and Children's Centre practitioners in Nottingham welcomed local MP Alex Norris and Councillor Mellor to their 'Peep Watch me grow' baby group. 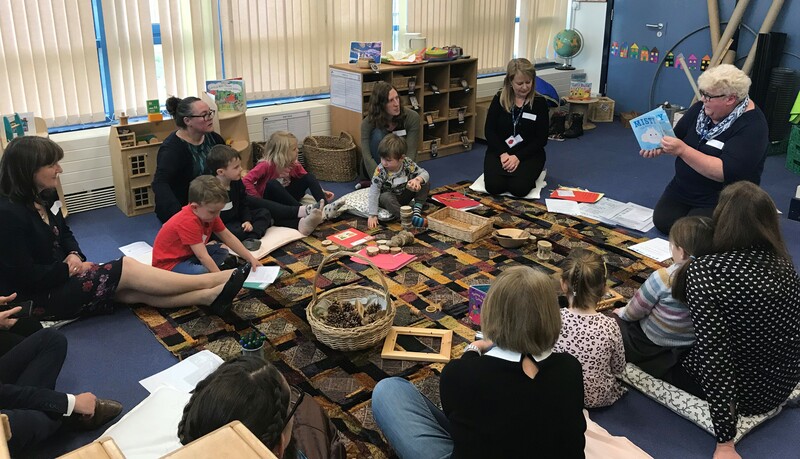 Both visitors have a particular interest in supporting parents in the early years, so were keen to hear about Nottingham children's centres' work in the Peep baby groups, Peep Inbetweenies and Peep Getting ready for nursery sessions. Parents shared their enthusiasm, both for the ideas and information shared during the sessions, and for the friendships that they and their children have made. 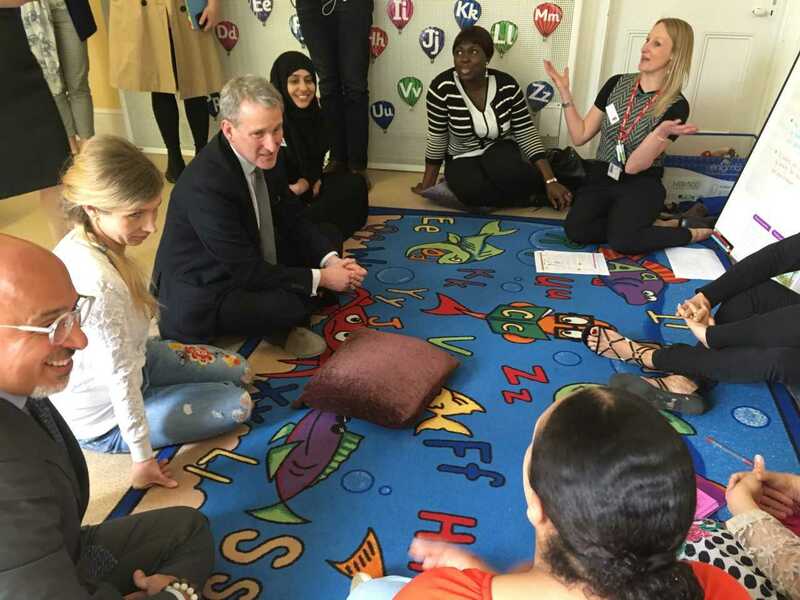 We were delighted that the Secretary of State for Education, Damian Hinds and Minister for Early Years, Nadhim Zahawi, joined parents and children in their Peep group in Rothesay Nursery, Luton recently. The visit coincided with their announcement of new government funding to promote social mobility and the Home Learning Environment. The government’s commitment to this aim is very much welcomed; it has been the main focus for Peeple and the Peep Learning Together Programme for over 20 years. 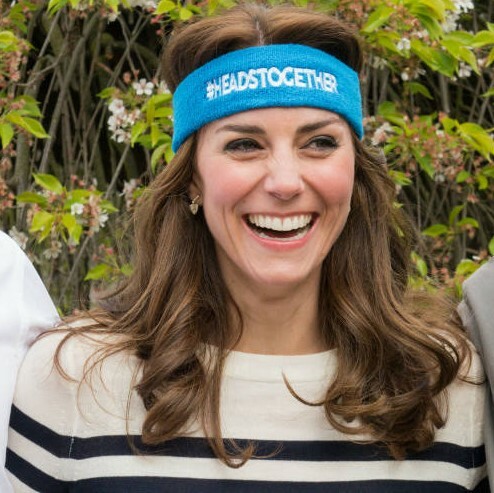 On Wednesday 21st March, The Duchess of Cambridge will convene a symposium on the importance of early intervention to provide solid social and emotional platforms for children in their early years, helping them to become healthier and more resilient later in life. It's great that this important issue is receiving high-profile recognition. Our CEO, Sally Smith, has been invited to attend. This follows on from a roundtable discussion that Sally was part of earlier in March with the Duchess of Cambridge, and Oxford-based charities Family Links and Oxpip, on the importance of supporting families during a child’s early years. This is all part of the Royal Foundation's involvement in raising awareness about mental health. Our joint report focuses on the importance of supporting the home learning environment at a strategic and practical level, and on the range of ways that were put into practice as part of this project. It emphasises the need to raise awareness about how simple but effective it is to enhance the home learning environment. Read more or please read and share the report 'Home matters'. > Check dates and book a place - A two-day course to build on your skills and understanding in supporting parents/carers with their children's learning and development from birth to school, using the Peep Learning Together programme (LTP), including online access to the complete Programme (74 topics with 200+ session plans etc). The UK government asked for peoples' views on it's green paper 'Transforming Children and Young People's Mental Health Provision'. There is concern amongst some charities and experts in child development that the paper, which will influence government policy, ignores the impact of childhood adversity and social deprivation. Psychologists for Social Change have written an open letter detailing their concerns about the Green paper. > Here is Peeple's response. You might be one of the half a million people who’ve seen the clip of a recent interview with Paloma Faith talking about the realities of motherhood. Her experiences make a great case for the importance of groups like Peep, both for creating a safe space to talk openly about the highs and lows of being a parent with people who understand what you’re going through, and also to share child development information and ideas (including the fact that babies CAN see from birth, contrary to Paloma’s misunderstanding…). Follow the link for Peeple's take on it. Find out about Susannah's Chambers presentation on singing across the generations at the University of Portsmouth's Organisational Storytelling seminar - including the benefits of singing for people with dementia, and how Peep groups with older people can be a win-win for everyone. Susannah is the Project Manager for the Learning Together Study. The Peep Learning Together Programme is based on the ORIM Framework. ORIM stands for Opportunities, Recognition, Interaction and a Model. It provides a way of working with parents which recognises and values all they already do, and then extends these things to support parents to do more. The guiding principle is that all parents provide the four elements of ORIM and that once this is recognised and celebrated, they can be encouraged to do so more meaningfully, purposely and frequently. The ORIM film shares the origins of the ORIM Framework and how it is used to support children and families. A report announced today highlights the tremendous achievements of over 100 Scottish charities working with children, young people, families and communities. In just a 12-month period, over 1 million people have been helped thanks to a £15m Scottish Government Fund. This has been administered and supported by the Corra Foundation, one of Scotland’s leading grant-makers whose vision is for a society in which people create positive change and enjoy fulfilling lives. Mr Mark McDonald, Minister for Childcare and Early Years launched the report at a Baby Peep Learning Together group at Mayfield Nursery, Midlothian. In January 2017, Mark McDonald, Minister for Early Learning and Childcare, and MSP for Aberdeen Donside, and Councillor Angela Taylor met with the Aberdeen Peep team and Peep parents, carers and children. Both visitors enjoyed joining in with a Peep Babies group, and learning about the Peep Learning Together Programme. In Aberdeen, the Peep Programme is part of Children and Families Social Work. Examples of local practice include: Peep delivery with parents/carers of care-experienced children; Peep with parents/carers experiencing low mood; and Learning Together Programme training for all Contact Centre staff. The first Review of Family Learning in Scotland assessed research evidence, case studies and consulted with partners, to see what works well in Scotland, and internationally. The Peep Learning Together Programme and Peep Progression Pathway are included as a case study in the section 'What Excellent Family Learning Looks Like'. The Review's Executive Summary defines the significance of Family Learning as 'supporting, equipping and building capacity amongst Scotland’s parents - to capitalise on children’s opportunities for learning is key in raising attainment and closing the poverty-related attainment gap. A family learning approach can also be a catalyst in helping adults take up adult learning and training opportunities, gain employment or attain new skills. This in turn positively impacts on children’s individual attainment, their aspirations and personal learning journey.' This focus on both the child's learning opportunities and those of the parent - in their own right, as an adult learner - is one which Peeple advocates and demonstrates in Peep delivery. 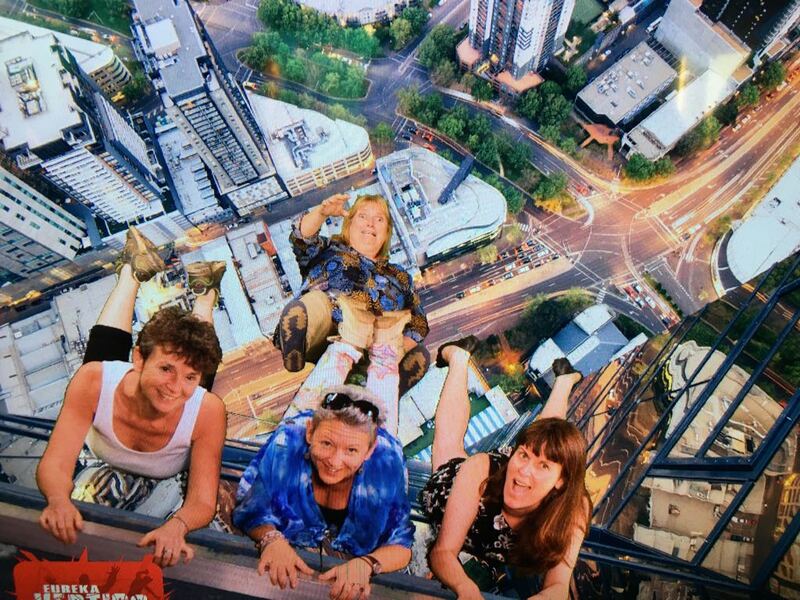 In February 2017, Sally Smith our CEO, and Peep trainers Marie and Lisa went to Melbourne, Australia to work with the Brotherhood of St Lawrence, an Australian not-for-profit organisation. The Brotherhood are about to pilot a new project called Growing Learners which brings together a number of evidence-based programmes to support some of the most disadvantaged families in the state of Victoria. 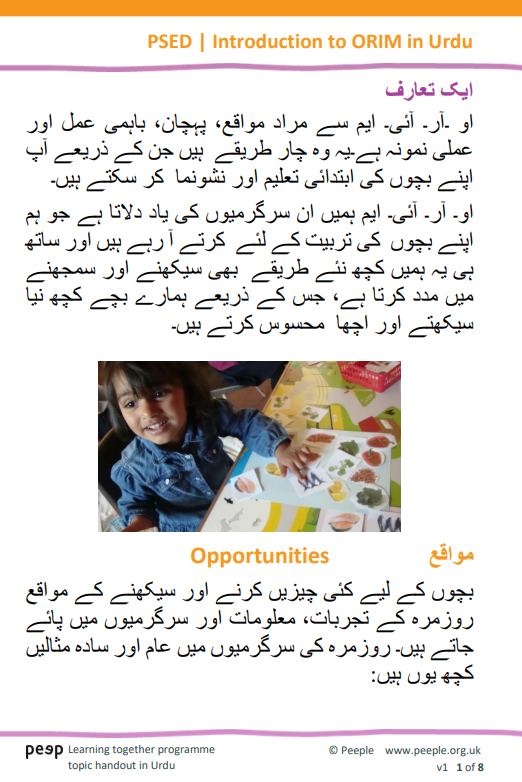 They conducted an international search for an early intervention programme focusing on the home learning environment which incorporates adult qualifications and employability routes. They reported that only the Peep Learning Together Programme fitted the bill! Marie takes being 'Down Under' a touch too literally! the system of support for the cost of childcare is complicated for parents and fails to incentivise those on low incomes to work. more of the state subsidies directed at service providers, as the most effective way to deliver access to high quality childcare.